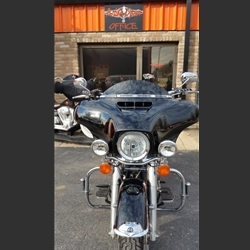 The Wide Open Harley-Davidson Road King Airflow fairing is a quick detach fairing. On Road Kings, you must have the running lights moved to the front hole. Paint inner and outer fairing Vivid Black. Install sound system if purchased.ALLOW 2 - 4 WEEKS FOR DELIVERY.